There is nothing like taking a drive through the Napa Valley right before harvest time. This area produces some of the best wines in the world. While driving through the region, there are many places to stop for tastings. But have you ever thought about what it takes to create this nectar of the Gods? 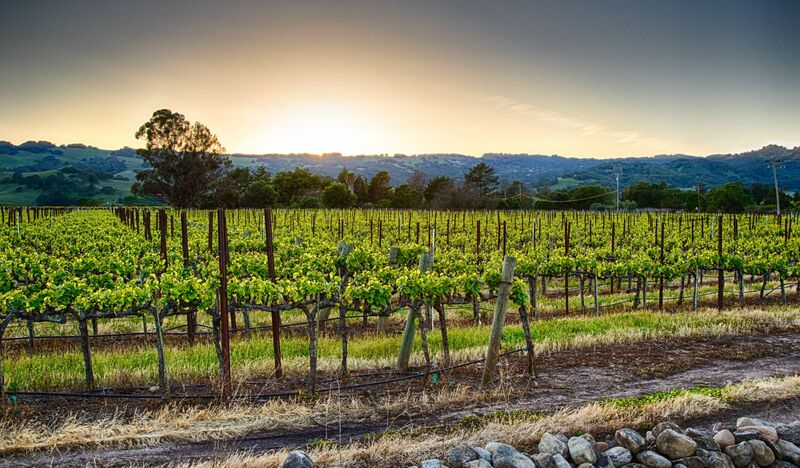 Or what it might be like to live in the Napa Valley? In a time of drought, it has become quite a challenge for both businesses and locals in the area. Along with water cutbacks, the area was hit with some of the biggest fires in decades. Homeowners are now left to think about how to best protect their homes for the future. Artificial turf maintenance is a much easier task than clearing out brush. Local business, Watersavers Turf, offers expert advice for synthetic turf and other water-wise landscape options for those in the Napa Valley area. The San Francisco Bay Area has always been a place full of creative people. A few local companies have come up with smart ways to help save water. Free Flow Wines, from Napa, has found a smart new way to reuse wine kegs.Stainless steel casks are used in place of glass wine bottles. This saves on shipping costs and water usage for local restaurants and bars. Free Flow Wines co-founder,Jordan Kivelstadt, says that their firm uses 5,000 gallons of water a day to sterilize and clean the casks. Their onsite treatment system reuses 99 percent of the rinse water which means they use nearly no water at all. Set up and install costs for this system come at a hefty price tag though, around half a million dollars. But the firm claims that the system will pay for itself in two to three years.”We estimate we’re saving about a million and a half gallons of water a year thanks to our recovery system,” says Kivelstadt. At UC Davis,David Block, chairman of the UC Davis viticulture and oenology department, says they have plans to install a similar system to the one that Free Flow created.Block says that most CA wineries now use between two and a half to six gallons of water for each gallon of wine they make. This doesn’t include irrigation or other pre-harvest usage. Allison Jordan, VP of Environmental Affairs with the Wine Institute, says that more than half of the 391 wineries in a 2012 survey reported at least some of their wastewater was used for vineyard or landscaping irrigation. Local business Watersavers Turf has been committed to saving water since 1988. They continue to make smart water saving options a top concern. The City of Napa has a long-term plan for water usage. They are focused on the need to use less than 132 gallons per person by the year 2020. The City of Napa offers locals money-saving ideas/tips and training which includes water-wise landscape options. Watersavers Turf also offers FREE synthetic turf installation training for contractors.Please contact us at 844-974-8873 to find out more about the training or click here to see the schedule.